The Licensing fee paid by Google to Apple to remain it's default search engine on the i-phone has increased from $1B to a whooping $3B according to notes to investors. This licensing fee was a billion dollars just 3 years ago. 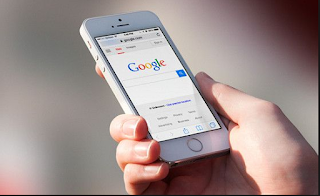 It is also important to mention that Apple's iOS is responsible for over 50% of Google's mobile search revenue, Sacconaghi noted. This news is coming just hours after Google launched voice search support for 8 additional indian languages. The languages are Bengali, Gujarati, Kannada, Malayalam, Marathi, Tamil, Telugu and Urdu. In order to perform a voice-based search, users will need to set their language in the "Voice" settings menu in Google app, the company said in a statement.